Schwab's annual RIA benchmarking study teases out the secrets to the success of the best-managed firms. 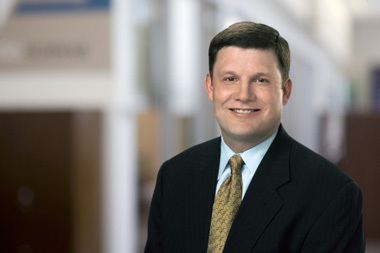 Jonathan Beatty, senior vice president, Schwab Advisor Services. Registered investment advisors reported record growth and profitability, according to the 2014 RIA Benchmarking Study by Schwab Advisor Services. Profits were highest since the study’s inception in 2006. More than a third of the RIA firms that participated in the benchmarking study have doubled their assets under management and revenues over the past five years. RIA firms of all sizes have seen significant growth since the market lows of 2009. And the study noted that even more firms are on track to double within the next two years. “RIA firms are thriving,” Jonathan Beatty, senior vice president of sales and relationship management at Schwab Advisor Services, told ThinkAdvisor. The study reported a median 12.8% compound annual growth rate in AUM and 13.6% in revenue. The median revenue climbed to $3.3 million, and one-third of firms earned more than $5 million in revenues in 2013. What’s the secret to success? The latest data showed a number of strategic and operational characteristics that are shared among the best-managed firms. The best-managed firms that are outperforming their peers attribute their continued growth year after year to three specific things: building strategic management practices, focusing on high-quality organic growth and creating opportunities for top advisor talent. These best-managed firms represent advisors in the study who are in the top 20% of qualifying firms, which is calculated after removing those with less than $1 million in revenue or fewer than two professional staffers, and then ranked by productivity, profitability, revenue growth and net asset growth. The 2014 study comprised self-reported data from 1,132 advisory firms, representing nearly three-quarters of a trillion dollars in AUM, that custody their assets with Schwab. Participant firms represent various sizes and business models and are categorized into 12 peer groups — seven wealth manager groups and five money manager groups, by AUM size. Since the inception of the study in 2006, more than 2,800 firms have participated, with more than half being repeat participants. Referrals emerged as the chief component of organic growth in the 2014 study. “The study says 80% of advisors tell us that referrals are their number one source of new clients, but they also tell us it’s their number one priority in terms of how they’re trying to improve their businesses,” Beatty said in an interview. This year’s study showed that institutionalizing the business became a bigger focus than in year’s past, most noticeably by applying more strategic management practices and establishing greater operational discipline. The study indicates that well-documented business planning shown in this year’s results leads to maximize growth and profitability. Enhancing strategic planning and execution was the third top strategic initiative for best-managed firms, and segmentation planning jumped into the top five initiatives in 2014, up from an 11th place ranking in 2013. “[T]hat tells me that advisors are focused on finding ways to create efficient business models so they can provide the high-touch type of experience that they want to the different kinds of clients that they serve,” Beatty said. Not only did data show an increase from last year in the number of firms that have executed a strategic plan, but the study also showed increases in best-managed firms with a formalized succession plan in place and institutionalized client relationships. A part of this focus to institutionalize the business is managing, recruiting and developing talent within their firms to develop the next generation of leadership. As seen in this year’s study, recruiting top talent was one of the top five strategies of best-managed firms. According to the study, 50% of new hires during the study period left one RIA firm to join another. Part of the talent-retention strategy at best-managed firms included establishing opportunities for employees to share in the success of the firm along with creating pathways to ownership.